In July 2013 I posted an article titled “The Twinless Twin” about twins who’ve been separated by death or by having been split up between multiple families. My daughter Casey was a twinless twin. Her twin sister either died in utero or at birth. It was the only fact about Casey’s infancy that we kept from her, waiting until she was “old enough” to handle it. At the time that seemed wise but now in retrospect I would’ve told her. I found this revelation about twinless twins incredibly illuminating, another strike against poor Casey at her introduction to the world. 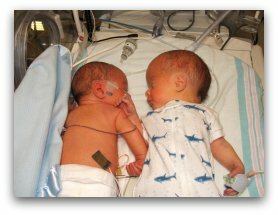 Recently I received a message through Adoption Voices Magazine from a reader who shared another article about twinless twins from a website called womb twins.com. It is more of a clinical study of the effects of twins’ separation that goes into more detail from a researcher’s point of view. Many of these psychological effects are similar to those of children suffering from attachment trauma, this is another broken attachment from infancy which clearly can have a profound lifelong impact. Here is a link to the article. More Info that you might find helpful/meaningful – the work of B. Bryan Post – the Post Institute – and also Heather Forbes, both have great information to share – books, seminars and webinars on parenting adopted (attachment challenged) kids. Dr. Bruce D. Perry’s research and writing (book: The Boy who was Raised as a Dog and Other Stories from a Psychicatrist’s Note Book. What Traumatized Children can Teach us about Loss, Love and Healing. His organization’s website is ChildTraumaAcademy.org ). Amazon has all their books and they all have their own websites. For more serious research look at the works of Miriam Steele, Beatrice Beebe, Allan Shore, Daniel Siegel.